Texas; Samantha Higham, League City, Texas; Emily Johnson, Houston, Texas; Maggie Johnson Emerson, Metairie, LA; and Katie Johnson, Ruston, LA. Serving as pall bearers are Eric Smedstad, David Shain, Scott Horne, David Meadows, and Steve Childers. 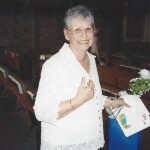 We are saddened of the passing of such a wonderful ,caring aunt…I will miss her many kind and positive e mails..love to all. My thoughts and prayer for you all as you grieve the loss of your Mother and Grandmother. I never had the chance to meet her but Steve talked about her a lot. From the things he said I know she was smart, tough and loving. Keep the memories of the good times in your thoughts and she will be in your hearts always. My heart goes out to the whole family. May you find solace in the beautiful memories you each possess. I am a colleague of Cathy Childers. I am so sorry for your loss. May the wonderful memories created over the years help you during this difficult time. I am so sad about Margaret’s passing, she was such a wonderful sister. I will miss her long letters filling me in on everything about herself and her family. Love to all of you. I am so sorry about Aunt Margie’s passing. She was a very special person and will be deeply missed. Love to all. We want you to know how special Aunt Margaret was to us. We have been lifting each of you up in prayers. I will miss her cards with the notes that she had written. May God be with you!!!!!!!! I am so sorry for your loss, but I am grateful for the legacy, values, and faith in God that Margaret left with her children, grandchildren, relatives, and many friends. I will certainly continue to blessed for the rest of my life because of the precious conversations we shared. Loving her was so easy, and I will never forget her. Mrs. Childers was a true role model whose walk with Christ, in her life’s journey, set an example for everyone to follow. She will be truly missed but her spirit and values live on in us and her wonderful family. I am happy and yet so sad to know that the lady that I regarded as my second momma is not going to be just down the road anymore. The Shain Family has experienced a great loss of a fine lady that taught us to love Jesus and our Catholic Faith. Nevertheless, we know that she is dancing in the heavens with the angels now and is no longer in pain and discomfort. We will always remember the love that you taught us and will instill such love in our heart and souls as we think of what a blessing you were in our lives. Just today I learned of Margaret’s passing. My condolences to her loved ones! 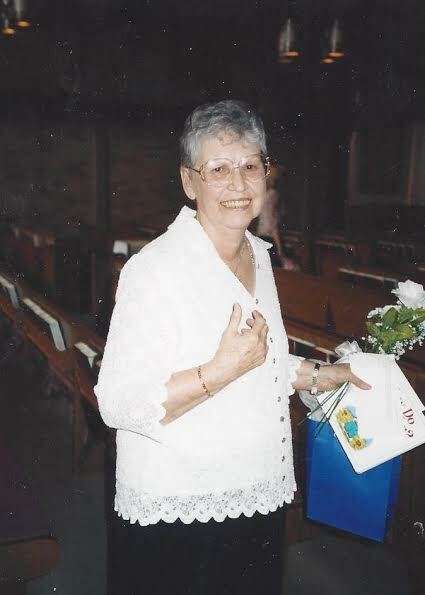 I served on ACTS retreats with Margaret and loved her daily letters to God. She inspired me and I will always remember her spirit, kindness, and laughter. Margaret, as you are watching over us right now, tell God hello. To Margaret’s family… I would love to read all of Margaret’s letters one day, but recognize they are precious to you. But if you ever decide to publish them, put me down for 10 copies of the book!